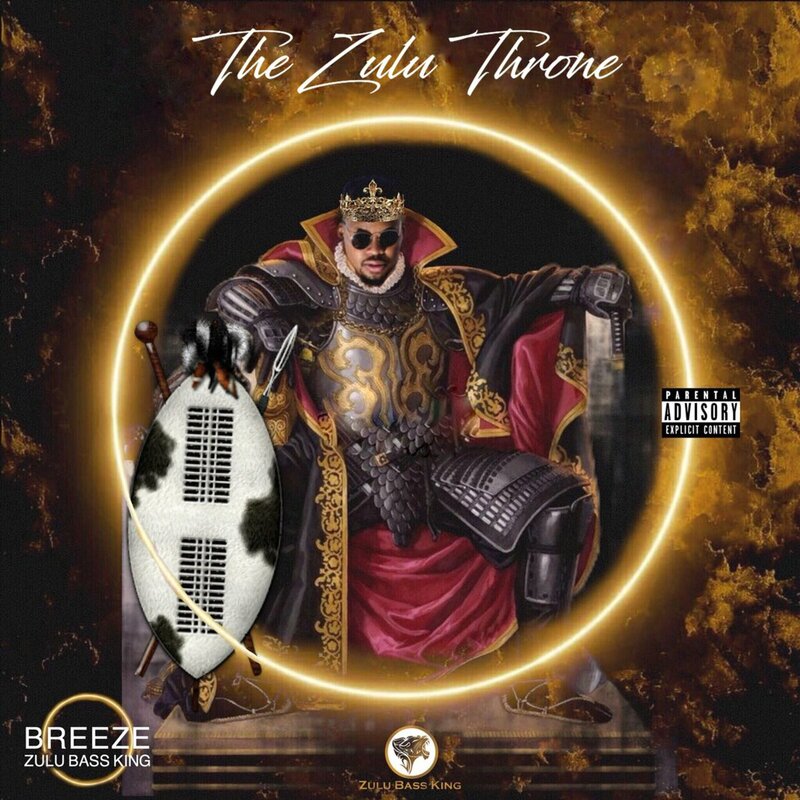 The Zulu Bass King, Breeze, has just revealed the official cover art and tracklist for his upcoming The Zulu Throne album. The album will carry 2 discs with each side containing 11 tracks in total. The album will also feature some impressive names like Zulu Mkhathini, Zakwe Soweto Gospel Choir, Lady’s Smith Black Mambazo, Rouge, Moozlie, Thabsie, Jess, Neo Dube, Kanyi Nokwe, Bongi ( Joyous Celebration) & Masandi. Breeze has been putting in hard work to get himself to where he is today and we can’t wait to hear the album which is set for a September 24 drop.